Perfectly sutied for use with a snow shovel, to make the job easier. Service: Quality service and product, swift delivery and marvellous communication. 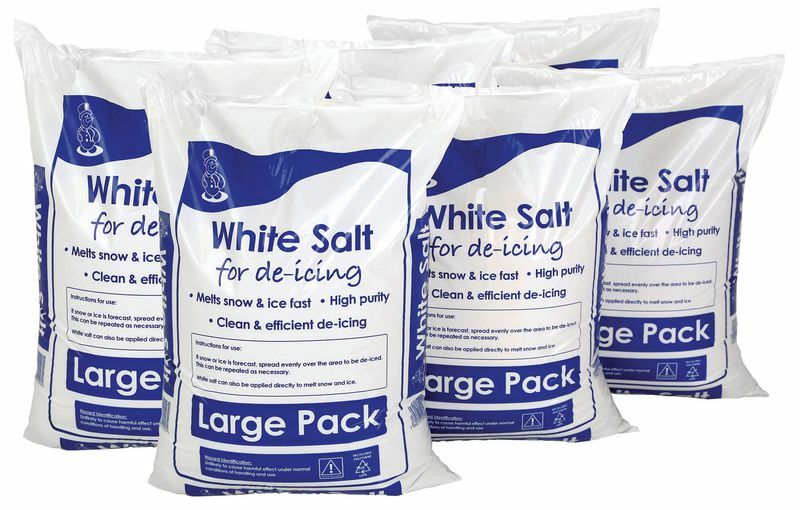 Product: prompt service , white de-icer salt far less messy than grit and quickly dissolves ice. Service: Excellent, the Staff were very helpful. Product: Delivered on time and brilliant service. Service: The sales assistant found me a discount I didn't know I was entitled to which was a pleasant surprise.